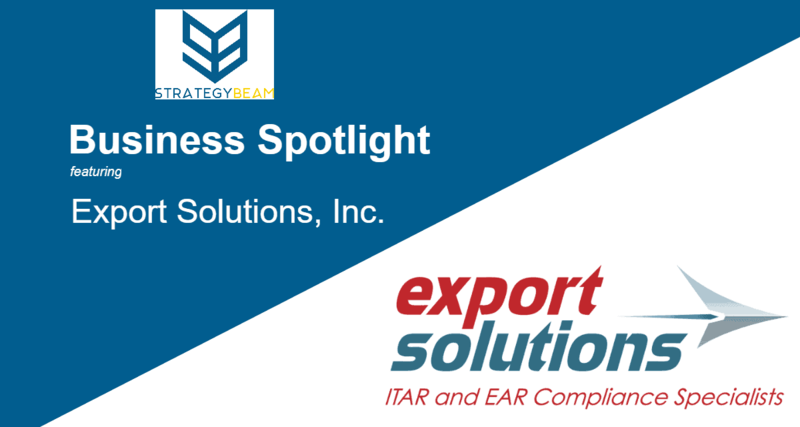 Business Spotlight: Export Solutions, Inc. Export Solutions is a leading consulting firm dedicated to making meaningful change for their clients. A firm that not only helps their clients understand the regulations that impact them, but one that also provides real-world solutions to address the realities of the products, markets, and challenges they face every day. Over the years, Export Solutions has been privileged to work with hundreds of organizations of all sizes. But it isn’t the size of the company that determines their success. They have grown into a successful company because of their unwavering dedication to providing the help that their clients need from every end of their business. Perhaps that’s why, in a recent survey, 100% of their clients said they would recommend Export Solutions to others, and 90% rated “value-added services” as their primary reason for choosing to work with Export Solutions. Q: What is your background and how did you enter your industry? My background is aerospace having worked at GE Aerospace and the Performance Review Institute (PRI). PRI is an aerospace company who performs the special process and systems audits for the worldwide aerospace industry. PRI personnel, therefore, come into contact, and even possession, of technical data and products which are regulated by the U.S. export regulations (the ITAR and EAR). 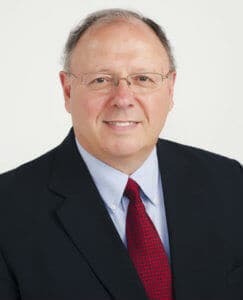 As the Manager in charge of export compliance, I worked with thousands of aerospace product and service providers who were managing and transferring restricted technical data and products. Yet, I found that only a small percentage of them even had a basic grasp of how to comply with the regulations. Since I had learned a great deal about the regulations as part of my job, I knew I could help. When Tom Reynolds agreed to join me, Export Solutions was launched and we started fulfilling our mission. Q: What motivated you to own your own business? Purely the ability to help companies comply in an area where there was a lot of confusion and very little understanding of the regulations. In fact, I always said I never wanted to run my own company. In my teenage years, my father started his own business as a commercial artist, and I saw first-hand how difficult that was. I also saw the impact it had on our family financially when his business failed. So, I was emphatically against the idea of running my own business. But I was not able to resist the opportunity to help companies in an area where they desperately needed it. Q: What are the top 3 most difficult parts of owning your business? Knowing when to add team members. Gauging the amount of work we will have to complete our current resources. Working with clients who do not really understand why they have to worry about export/import compliance. Compliance is a cost avoidance which does not positively affect the bottom line. Yet compliance requires a good degree of dedication on the part of management and some expense. Maximizing the strengths of our employees to help them reach their potential while continuing to benefit our clients. Q: What do you enjoy most about owning your business? The fact that we have succeeded in helping hundreds of companies understand their responsibilities within the government regulations and see them move to a system of comprehension and compliance. Secondly, providing our team members with stable employment in an atmosphere which respects them as individuals resulting in a satisfying work experience. Learn more about Export Solutions at their website to find out about their amazing team, great services, and the success that they are seeing through customer-focused services! Would you like to be featured in our Business Spotlight? Fill out the form and if you are chosen to be featured we will reach out to you with more information!